Hey friends! 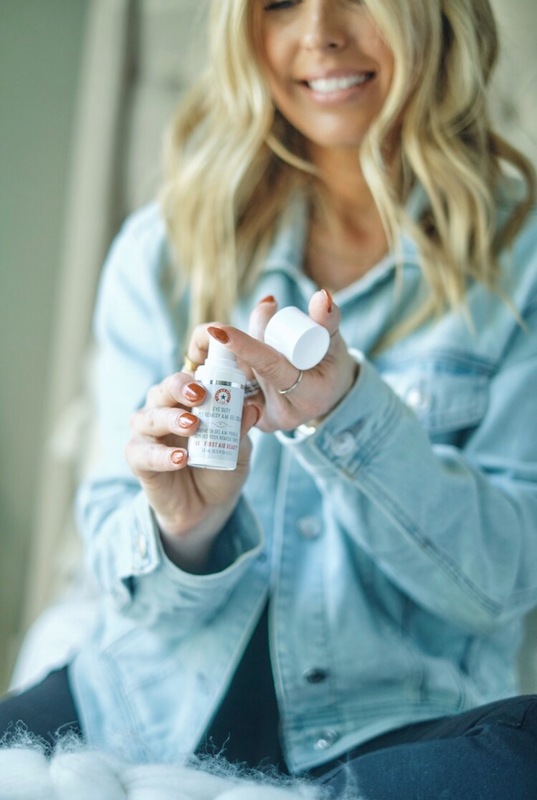 I’m excited to share a Spring Beauty Haul on a few of my favorite products from First Aid Beauty. These are practical everyday products and a few will help you stay protected from the sun. So, recently I shared in my Instagram stories that I started using First Aids Ultra Repair BarriAIR Cream for my skin. 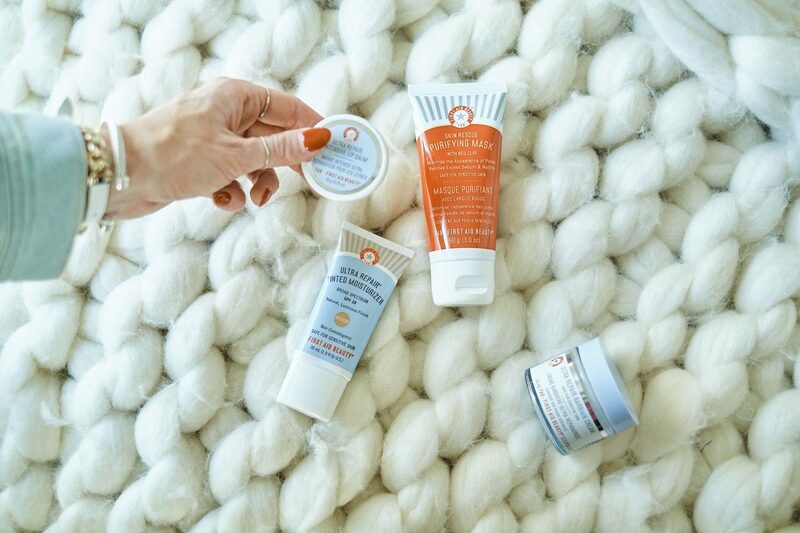 If you are curious why you should use a barrier cream, it’s important to help your skin barrier. A weakened skin barrier can lead to skin that is not sufficiently protected from bacteria, allergens, pollution and can lead to redness, dryness, increased sensitivity and even breakouts. So, STRONG BARRIER = HAPPY SKIN! 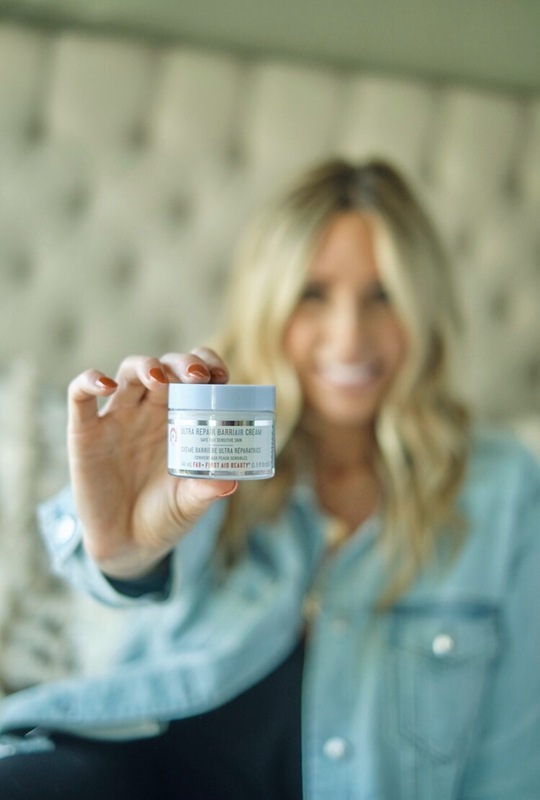 So, First Aids Ultra Repair BarriAIR Cream helps repair weak barriers and replenishing lipids that bio-mimic the natural composition of the skin barrier, helping to strengthen it and maintain its healthy state. Unlike most barrier creams, this has a light as air texture and is perfect for all skin types…dry, combination skin and oily skin! Also, its safe for sensitive skin (which I have) and has a clean formulation is allergy-tested, vegan, non-comedogenic, fragrance free, cruelty free!!! Another MUST HAVE not just for Spring & Summer, but year round is the Ultra Repair Lip Intensive Balm. Y’all know I’m ALWAYS trying new products to help with my dry lips. 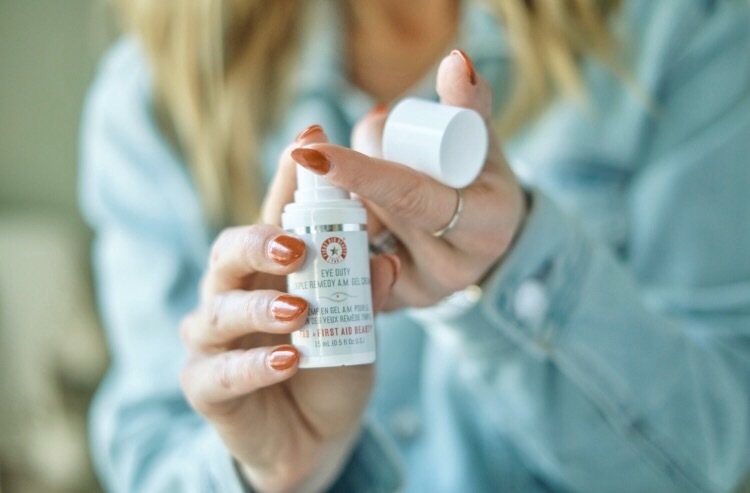 I really have been loving this lip product since it gives instant relief when your lips are dry and hurt, smooths and moisturizes the lips instantly. This lip mask is thick and really helps repair dry lips (and y’all know if you watch my stories that I really struggle with dry lips). The Lip Intensive Balm has helped my lips become more soft and smooth. It literally goes on your lips like butter and gives instant relief to dry lips. I love that it holds moisture in skin. I reapply 2 times a day and put it on before bed. Ultra Repair Lip Therapy is a more mild than the Ultra Repair Lip Intensive. Its more like a SPF 40 chapstick. Channing and Triston LOVE it. And I love that it protects their lips from the sun when we are at Triston’s soccer game. Eye Duty Tripple Remedy AM Cream is one of the best I’ve tried! It is super moisturizing and has a cooling effect on the eye area. This is a great preventive option to help with fine lines. You can use this in the morning alone or under your makeup. 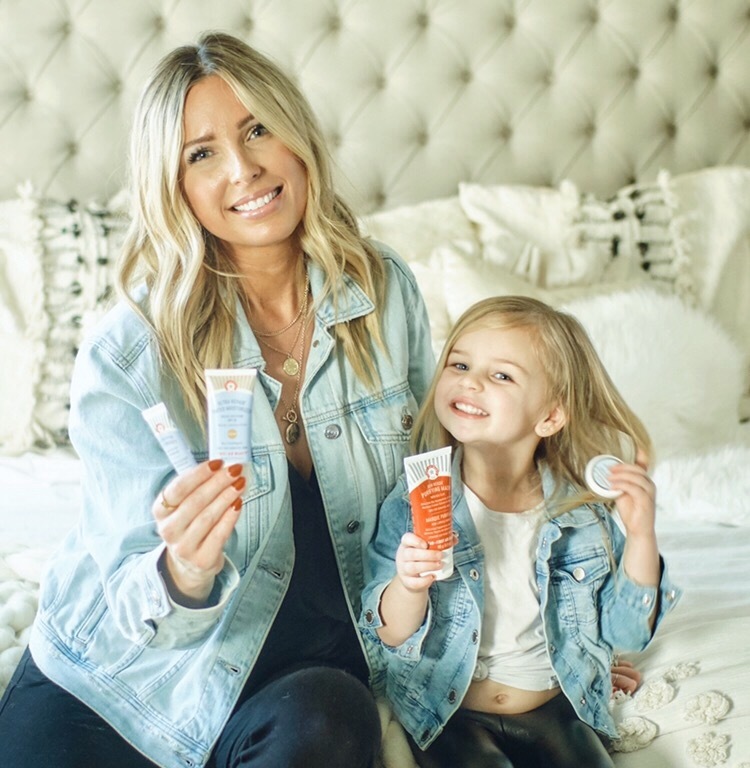 In the summer months, I usually have a spray tan and I don’t like to wear too much makeup and that’s why I love the Ultra Repair Tinted Moisturizer SPF 30. I will apply my primer prior to putting on the Ultra Repair Tinted Moisturizer SPF 30 if I’m on the go. 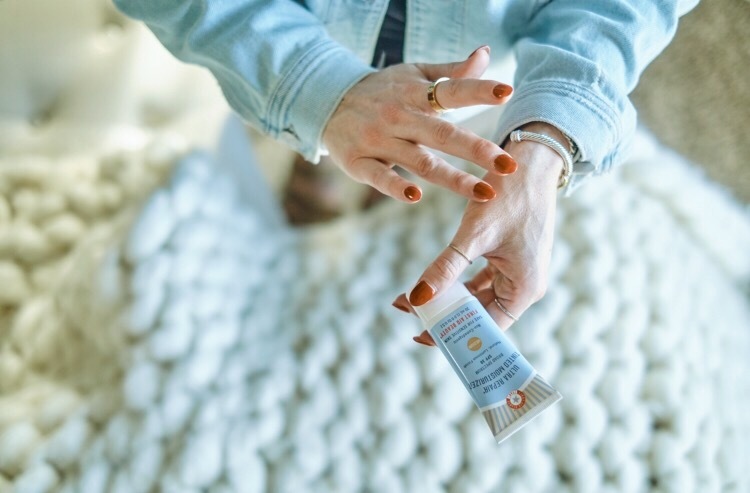 You know that I always share products I use the help keep my skin protected from the sun and this product is tented and will help keep your skin protected throughout the day. Do you have any must have lip repair that you can’t live without? Leave a comment sharing your fave. I LOVE trying things products especially for my lips. 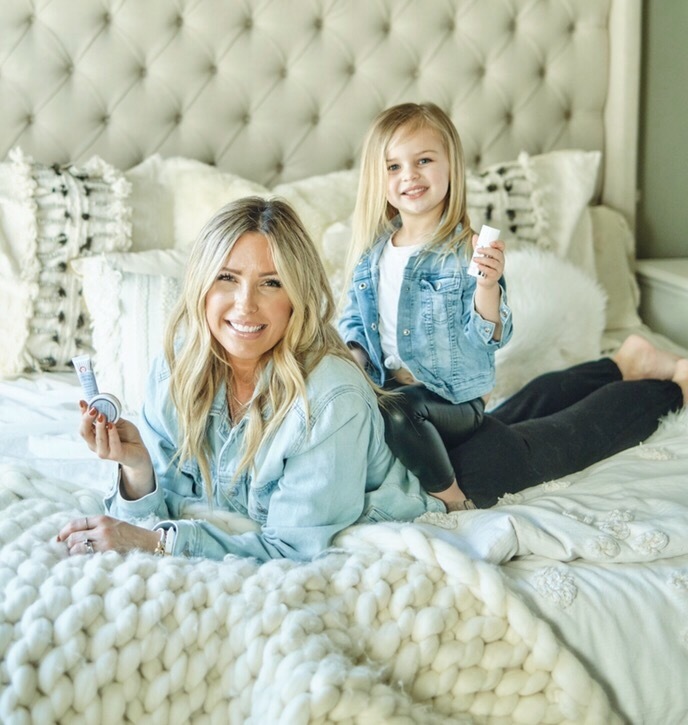 Thanks First Aid Beauty for sponsoring this post. All thoughts & opinions are of my own. 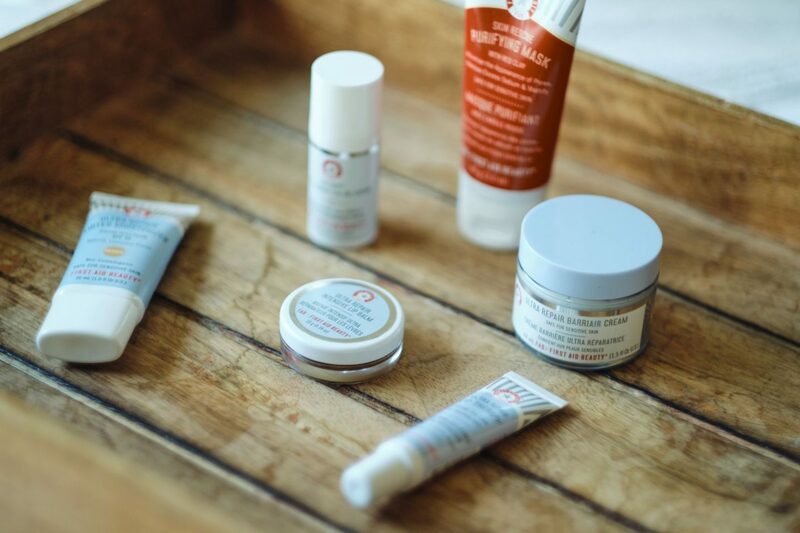 I love first aid beauty products! Let me know what you think after using their products! I have an issue with my lips being so chapped. I’m going to try out the lip balm. Thanks for sharing.